UFC Coconut water is your refreshing beverage for a hot summer day! 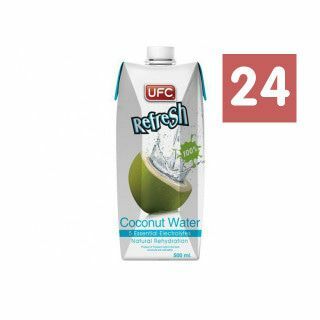 UFC coconut water is made of 100% pure cococnut water from Thailand and can be used to change it up from your regular water and soda's. It has a sweet taste, is low in calories and contains some vitamines and minerals. It is a perfect isotone sportsdrink and this 500 ML pack is a perfect size to take to work or school. It is also a perfect ingredient in several tasty cocktails (or mocktails without alcohol). 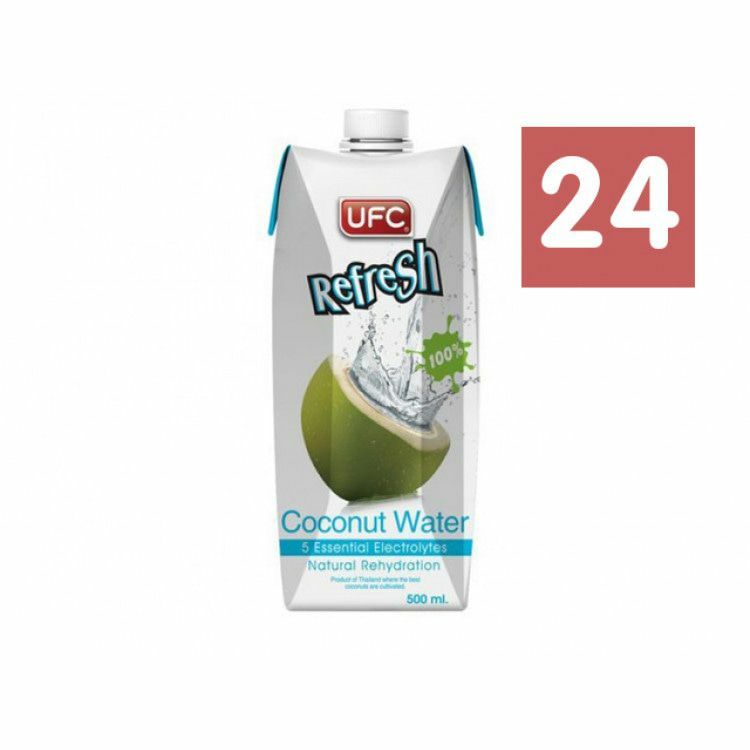 In 2015 this coconutwater from the UFC brand was awarded with the iTQi Superior Tasta award. It is safe to say that this UFC coconut water is thé king of our coconutwaters! For the best taste, you should always drink and serve this coconut water chilled! Restock your fridge with this 24-pack of the 500 ML packs UFC Coconutwater.